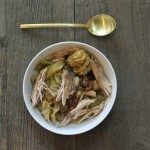 This is a recipe that I made last week while cleaning out some of the extra game meat in my freezer and I just loved it. 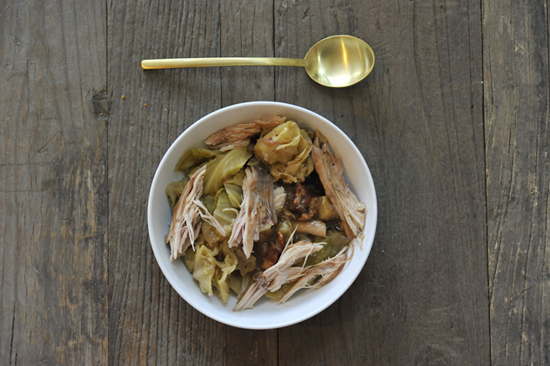 I had several whole pheasants left over from my Adventure Getaway in Virginia this past December and I decided given this never-ending winter, it was high time to make the most of it, and turn them into a warm and hearty dish. 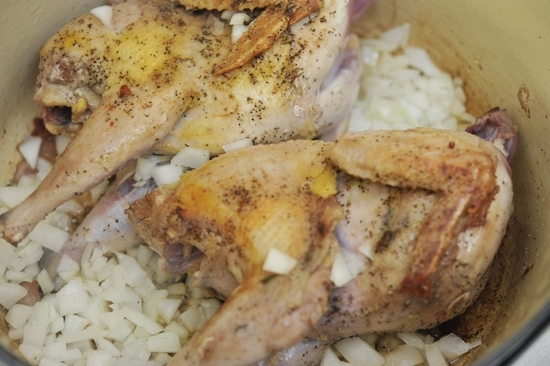 You’re going to love this recipe, it will work well with one whole chicken or two smaller Cornish game hens if pheasant isn’t in your midst. 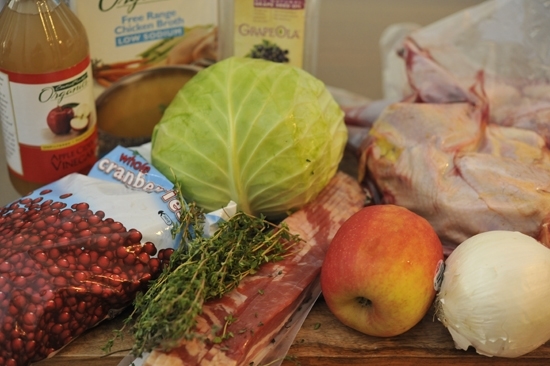 What you’ll need for this recipe: Whole Pheasant, cabbage, chicken stock, bacon, cranberries, apple cider vinegar, white onion, apple, grape seed oil, and thyme. 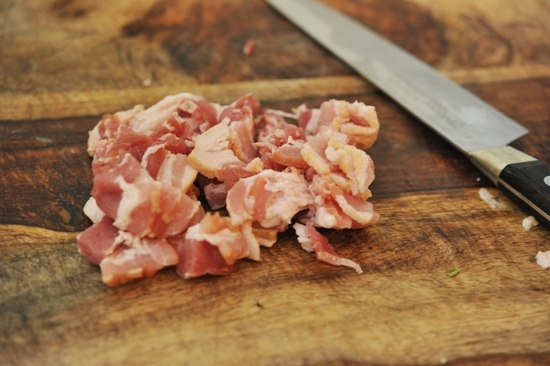 Chop up your bacon into nice thick chunks. In a large, heavy bottom pot render bacon until it’s nice and crispy. Feel free to add a dash of oil if your bacon is lean to help it render its fat. 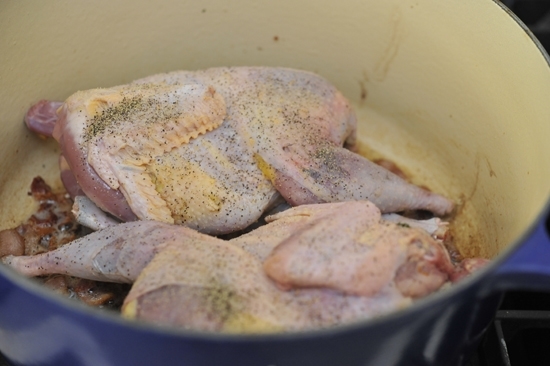 While bacon is cooking, season pheasant all over with salt and pepper. Add the pheasant to the pot, and brown the bird on all sides. Once nicely browned, add 1 diced white onion. Top that with your apple chunks and about 8 sprigs of thyme. 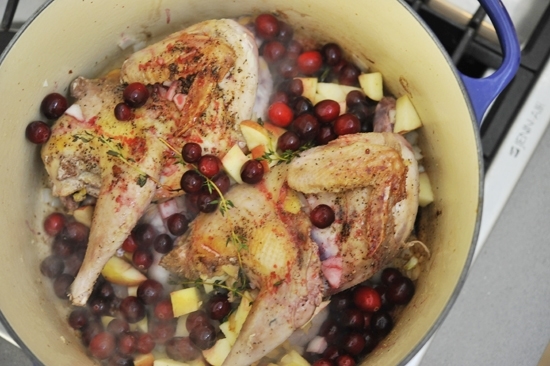 After you add 1/2 cup of cranberries, deglaze the pot with 1/2 cup of apple cider vinegar. Be sure to scrape all the brown bits off of the bottom of the pot. Then pour on the 6 cups of chicken or game bird stock. 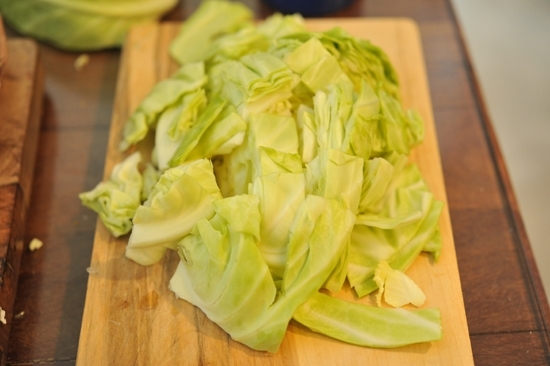 Chop the small head of cabbage into roughly 2 inch pieces. 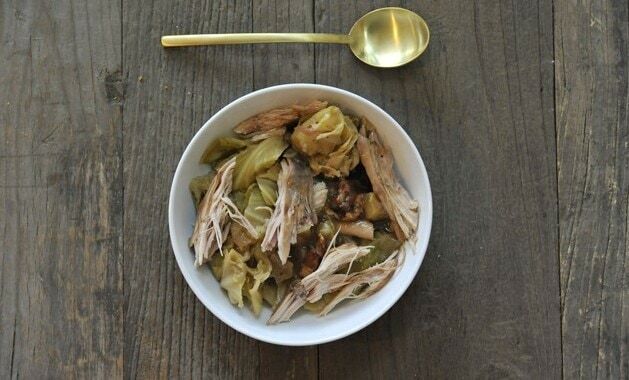 I always love the color and crunch that the cabbage brings to the party. 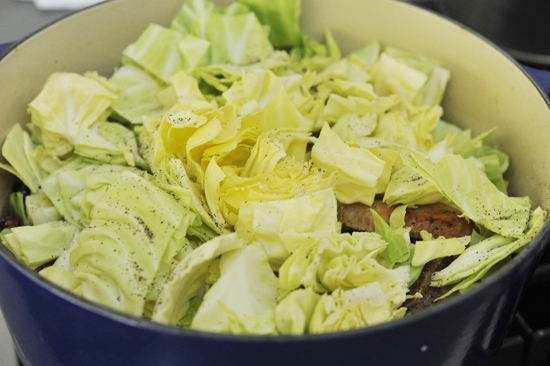 Spread the chopped cabbage on top, and sprinkle with salt and pepper. Reduce the heat to low and cover the pot. 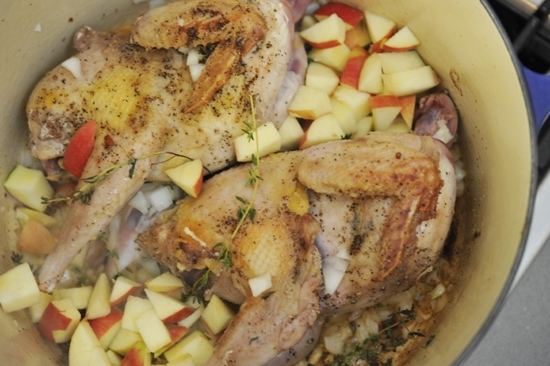 Let your pheasant braise for about 2 hours, or until meat is falling off the bone…or you just can’t wait any longer. Give this a try! 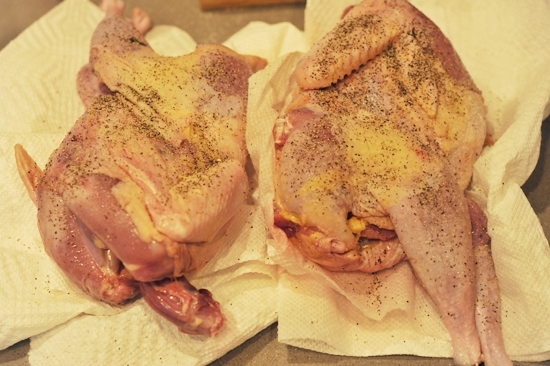 It will also work well with one whole chicken or two small Cornish hens. Pheasant stew was delicious. I used 6 whole breasts and added carrots. Served over egg noodles To feed 5 adults. I will definately make this again.